Seong Moy was born in Canton, China and emigrated to the United States in 1931. He enrolled in art classes at the WPA/FAP school established in St. Paul, Minnesota and continued his art education at the St. Paul School of Art, the Arts Students League, and the Hans Hofmann School. 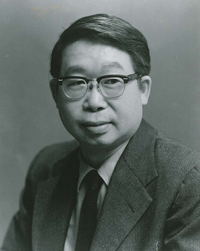 After a tour of duty during World War II, Moy returned to New York and classes at the Arts Students League and also a term at S.W. Hayter’s Atelier 17. In the early 1950s he began a teaching career that included stints at Pratt, Columbia, Cooper Union and several other schools, as well as his own school in Provincetown, MA. He has won numerous awards during his long career as an artist and his work is represented in some of the most important museum collections in the United States. Several articles have been written on his art, he has been the subject of an extensive interview for the Smithsonian Institution Archives of American Art Oral History program, and his work has been presented in several History of Printmaking texts. Copyright © 2012 Syracuse University Art Galleries. No use of any material from this site is authorized without the prior expressed authorization of the Syracuse University Art Galleries.